Yesterday evening, Apple announced that a special press event will be held on March 25 to announce new products. Network informants revealed this date a month ago, but only now it was officially confirmed. 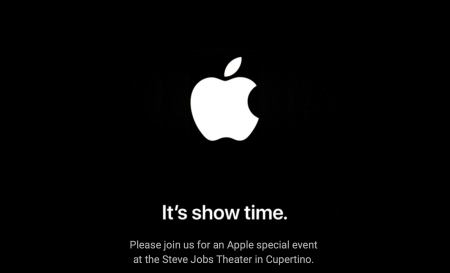 As follows from the teaser picture, which is also an electronic media invitation, the press conference will begin at 19:00 Kyiv time at the Steve Jobs Theater on the Apple Park campus. First of all, the conference is expected to announce new services. It is no secret that now this direction is a priority for the company. With the help of new services, the company expects to compensate for the drop in sales of the iPhone, although not all analysts believe in the success of this plan. Supposedly, on March 25, Apple will present two services – news and long-awaited streaming video service (the teaser above clearly hints at it). Both will use a monthly or annual subscription model. The first will offer for $ 10 (estimated price) per month unlimited access to materials, including paid content, the largest news agencies and the US Internet publications (The Wall Street Journal, The Washington Post, The New York Times, The Financial Times, etc. ) As for the streaming service Apple, along with affiliate content it will also have unique content (programs, TV shows, movies), shot by the Cupertine giant. Just the other day, we wrote that Apple had signed the notorious actress Bree Larson, who would play a major role in the spy drama based on the memoirs of a former CIA employee. At the same time, now everything indicates that the announcement of the video service on March 25 will be formal, and the service will work in a few months. Early rumors indicated that a monthly subscription would cost $ 15. In addition to new services, it is expected that several “iron” products will also be announced at the event: iPad Mini 5 and iPad tablets, seventh generation iPod touch player, AirPods 2 wireless headphones, and possibly the long-suffering AirPower wireless charging station. In addition, the expected announcement of an update iOS 12.2. Trump's next embarrassment: US president calls Apple CEO "Tim Epple"